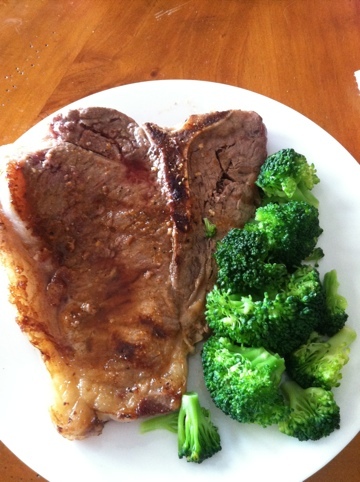 I mean no offense to vegetarians/vegans…I just love steak. And pork chops. And chicken. And bacon. And filet mignon. I could go on for days. This is my dinner I’m about to devour. I’d be uber jelly if I were you. I love steak too! I just think its a matter of preferences.. Looks great! I agree with this post! I had an amazing steak at Wolfgang steakhouse yesterday but this post makes me want to go for steak again! Seriously when are you moving here so we can be best friends? Haha! We can be long-distance besties!